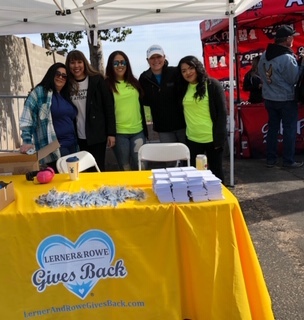 Lerner and Rowe’s community outreach team is pleased to once again support efforts in honoring Arizona first responders by partnering with 98KUPD in sponsoring the 2019 Magic Dry Organic Absorbent NHRA Arizona Nationals. Races take place February 22nd through 24th at Wild Horse Pass (WHP) Motorsports Park (20000 S. Maricopa Rd., Chandler, AZ 85226). Lerner and Rowe, 98KUPD and the NHRA are proud to not only sponsor the event, but also offer 20% off as a “Thank You” to first responders. If you are a verified first responder, you can grab the discount at NHRA.com/govx. Click here to purchase. Each entry ticket, whether you are a first responder or not, gains you access to the race pits. There you can meet the drivers, as well as get a behind-the-scenes look at the world’s most explosive motorsport. 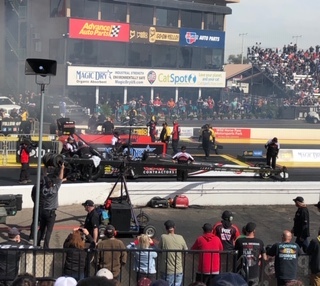 If you need more information about the 2019 Magic Dry Organic Absorbent NHRA Arizona Nationals, please call (877) 840-0457. General admission tickets can be purchased online at nhra.com/tickets or by calling 800-884-NHRA (6472).